Roam Mobility is different from other Canadian carriers. It isn't meant for use in Canada, but to help travelers visiting the US manage mobile costs. Their prepaid SIM-only plans use the T-Mobile network, providing coast-to-coast coverage and fast 4G speeds. Plans range from $2.95 to $49.95 depending on the data, text and voice service you need and how long you plan to travel. Roam Mobility doesn't sell phones. 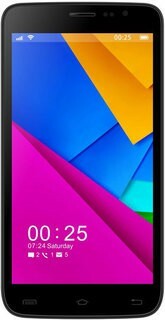 To use their service, you'll need an unlocked 4G GSM phone compatible with T-Mobile's US network. Snowbird Plans: Planning a longer trip to the US? Their snowbird plans offer great rates for visits of 90 days or more. Daily Plans: Avoid costly roaming with your existing carrier on shorter trips south of the border. Unlimited Texting and Calling: All plans include unlimited talk and text so you don't have to worry about how you're using your phone while you travel. Roam Mobility uses the T-Mobile network. They claim their 4G LTE network covers 98% of the American population. According to OpenSignal’s crowdsourced data, 4G download speeds on the T-Mobile network average 11.2Mbits per second. Uploads come in at 7.3Mbits per second. On the older 3G network, downloads clocked in at 2.4Mbits per second on average with uploads reaching only 0.7Mbits per second. Additional data from PC Magazine’s 2016 US study, “Fastest Mobile Networks,” rated 4G download speeds at 19.88Mbits per second and uploads at 18.02Mbits per second--the fastest upload average in the nation. Ookla’s “US SpeedTest Market Report” showed similar findings with T-Mobile tying Verizon for first place in download speeds (21.02Mbits per second) and leading upload speeds (11.59Mbits per second) by a healthy margin. No. 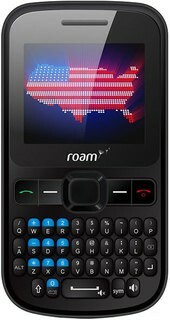 Roam Mobility is designed to work within the US. Outside of the US or in non-coverage areas, you will not have service. For more information, consult their Common Pre-Purchase Questions page. All plans include calls to numbers in the US and Canada at no additional charge. You cannot place outbound calls to numbers in other international destinations. However, you can receive calls on your Roam Mobility number from international callers. You can find more about specific calling rates and options on their Plans FAQ page. Does Roam Mobility Offer Wi-Fi Calling? No. They do not support the native Wi-Fi calling feature on smartphones or offer an app for unsupported devices. Yes. Tethering is allowed with any plan that includes data. All tethered usage counts against your existing allotment of data. For most plans, this means 15GB of 4G data is allowed per month. After you reach this limit, you'll find speeds much slower. Tethering with 2G data may not work well with many common features and applications. For more information, consult their Plans FAQ page. Roam Mobility does not offer bundles or add-ons at this time. Yes. In fact, as a SIM-only provider, you'll need to have a compatible, unlocked phone to use the Roam Mobility service. Phones must support LTE bands 2, 4 and 12 for optimal service. To check your phone's compatibility, enter the brand and model into the Will My Phone Work tool. There are no credit checks for prepaid service. Roam Mobility doesn't charge activation fees. Since they do not sell phones, you'll need a Roam Mobility SIM to use their service. SIM kits are available for $9.95 through their online store. You can also save by buying a two pack of cards for $14.95. Can I Port My Number To or From Roam Mobility? No. Roam Mobility assigns your SIM card a US number for use while traveling. You cannot transfer your existing number to your Roam Mobility SIM. However, you can suspend your SIM when you're finished traveling and then reactivate it when you need it again. This keeps your number consistent and avoids the hassles of notifying contacts every time you travel. No. As they do not sell phones, they cannot unlock them. If your phone is locked to your existing Canadian service provider, check our carrier summaries for specific unlocking terms and instructions. For additional questions about pricing, features, and coverage, be sure to check our Roam Mobility Q&A Forum. It’s filled with questions and answers from people like you looking to get the most out of their mobile service! Putting the speed and price together, Roam’s service had an interesting psychological effect on me. I’ve simply never had the luxury of a whopping nine GB of mobile data before. The more that sank in, the more I let myself go and the more I used my phone. It wasn’t long before I stopped worrying about tethering, because I knew that as long as I didn’t watch Netflix (not that I had time to), I’d probably be okay. After travelling in the US with Roam Mobility I can definitely say that their service is worth checking out. No matter how long you’ll be in the US or where you go while you’re there, you’ll be able to keep yourself connected without having to overpay for roaming packages from the “Big 3″ or coming home to a data roaming bill that exceeds the GDP of a small nation-state. It’s great to see a Canadian company take the initiative and come up with a solution with something for everyone, all at a very reasonable price. Do yourself a favour and check out Roam Mobility the next time you’re considering a trip to the US. Purchased 8 days of phone, text and data, phone and text worked fine, data never worked, contacted Roam Mobility numerous times and never got a response. Would not recommend this company under any circumstance. I hope they are working on expanding the USA coverage. I've used Roammobility for the past two years and their service and support was quite good. This year is a completely different story. They no longer have chat or telephone support and it took them 2 weeks to get back to me on e-mail with no response but to advise me they are swamped with support calls. The performance of the service is extremely poor. They advertise Florida as a hub where servic is excellent but it definitely isn't the case. I bought a snow-bird plan and really find it very painful. No customer service phone number. Very poor service. Have tried to contact the company for 3 weeks by email but resolution. Do not use them! They have a very poor website made by amateurs (caution using when paying with crediting card) and actually got RID OF their call in phone number for customer service. Emails only!?! Have fun when there's a service issue and your in the states without cell service. And they expect you to email them, then WAIT for their response. Which ended up being the next day. Bought SIM card, spent 50CDN (with delivery). Arrived in the US and no service whatsoever (when you need it most). Tried to contact them - no phone support at all. Tried to submit a ticket online - got auto reply pointing to non-existent ticket web page. No help after that. Looks like a complete scam. Buyer beware. (This site is also weird forcing you to subscribe to the comments when you submit review). Got the SIM card at London Drugs and purchased the 3 month Snowbird plan. Set up online to start on Dec 1st and after crossing to Port Angeles from Victoria, put in the SIM card and everything worked perfectly. Just follow their directions to update the Cellular Data Network information that will now appear on the phone. Very few dead spots along I-5 to our California destination. Overall, very happy with the service. I forgot to mention that all calls we made to Canada are working great, not sure why so many seem to have problems, used 1 GB of data on the way from BC to California, while the wife was listening to her SiruisXM program and worked great!! Visit the Roam Mobility Q&A Forum to get answers, ask a question or help others.